Three entrepreneurs in their mid-20s have launched Coalo Valley Farms in a warehouse in the San Fernando Valley suburb of Van Nuys, north of Los Angeles. 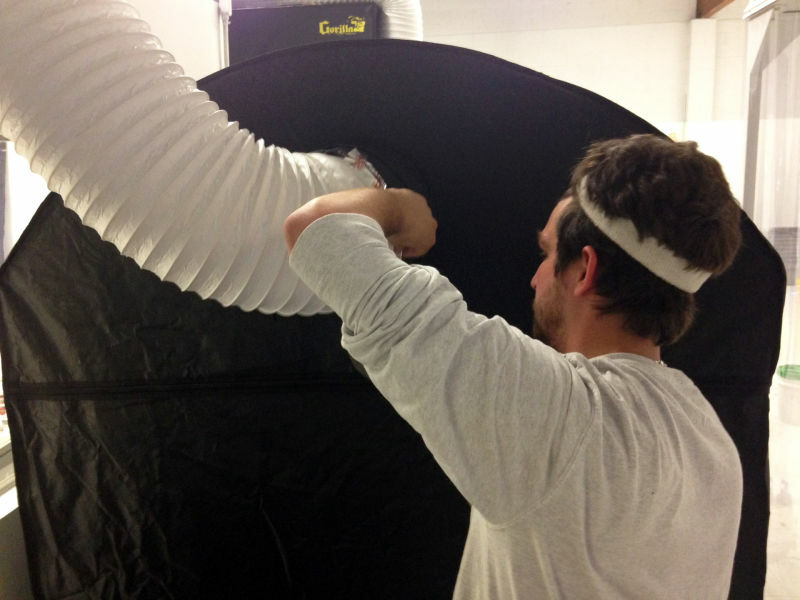 They’re using repurposed cannabis-growing equipment to grow tens of thousands of crickets. The crickets live in big plastic bins filled with cardboard pizza boxes and a pasty food substance. While farms have grow crickets for fishing bait or pet reptile snacks for years, the trend of growing them exclusively for human consumption here in the United States is relatively new. 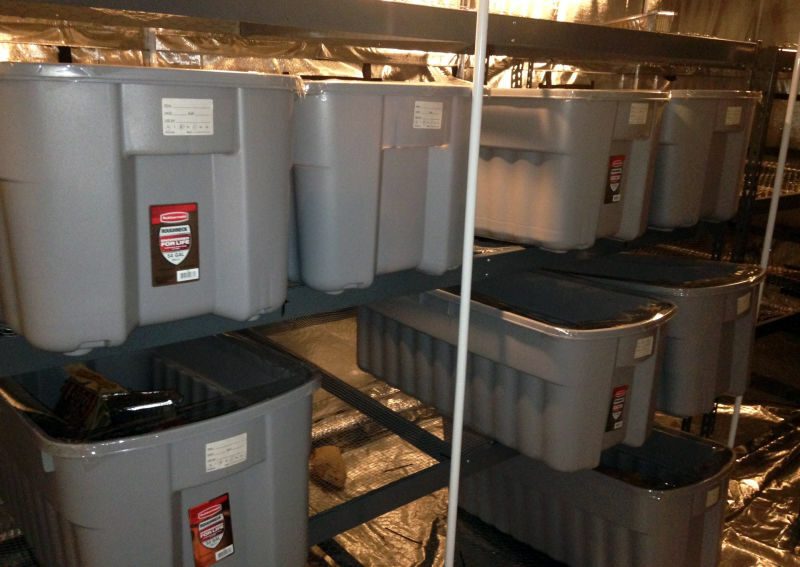 The first such farm to do so, Big Cricket Farms, opened in Youngstown, Ohio, in 2014. Once they reach adulthood, the crickets are put in a cold room until they go into hibernation, and they never wake up. Then they’re ground up, pasteurized and dried into a powder. Drying crickets is a lot harder than you’d expect, according to Dr. Aaron Dossey, a biochemist in Georgia and founder of All Things Bugs. A few startup companies, like Exo and Chapul, buy cricket powder wholesale from Dossey, and then put it into nutrition bars. The company Six Foods uses it for their cricket chips, which they call “chirps.” Another company, San Francisco-based Bitty, sells cookies as well as baking flour. But are consumers in the U.S. ready to eat creepy, crawly insects -- even in powdered form? The practice of eating insects, known as entomophagy, is quite common around the world. Bricia Lopez, co-owner of Guelaguetza, a Oaxacan restaurant in Los Angeles, says all sorts of insects are eaten in Oaxaca, Mexico. “Escamoles, which are ant larvae. We eat gusanos de maguey, which are the worms that grow inside the maguey. We eat these big ants, which are called chicatanas. We make salsa out of them,” Lopez says. At Guelaguetza, Lopez serves fried grasshoppers, known as chapulines, prepared with tomato, onion, jalapeno, garlic and parsley. “And then at the end, when you’re ready to serve them, you just squeeze a little bit of lime on top, and then you put them on the table, and that’s pretty much it,” she explains. Lopez says people order chapulines every day in the restaurant, and not just Oaxacan customers. But that doesn’t mean the bugs have gone mainstream. “It’s a thing in Oaxaca and people eat them, but if you go in other parts of Mexico, like in other states, they’re not as popular," she explains. "So I think it’ll still gonna be a while to see grasshoppers on, like, McDonald’s menus or something." Crickets are much cheaper to raise than cows or chickens or pigs, according to Phil Lempert, a food marketing analyst and editor of SupermarketGuru.com. “Pound for pound, insects, for example, crickets, have about the same amount of protein as does chicken, but certainly costs a lot less to produce, a lot less space, and some would argue, a lot more sustainable,” Lempert says. In addition, Lempert says, insects have another factor going for them: the thrill of the new. There’s also the “Fear Factor” element, the adrenaline rush of trying something scary or forbidden. 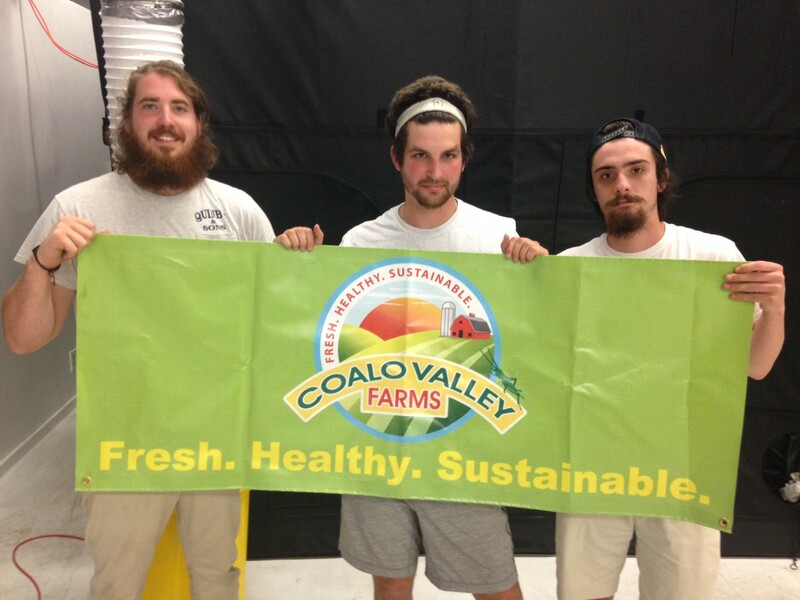 Coalo Valley Farms founders (from left) Peter Markoe, Elliot Mermel and Nate Snow. “People who like to go out and do those risky, edgy things, they’re much more open to eating insects as well. So some people might do it just for bragging rights, too,” says Matt Ruby, a postdoctoral fellow at the University of Pennsylvania who studies people’s food choices. Ruby polled 200 Americans about whether they’d eat insects. About two-thirds said they would, with a strong preference for eating them ground up into something, as opposed to eating them whole. Ruby sees a parallel with the rise of sushi in America. It's up to companies to determine whether the food they're making is safe to eat, and the Food and Drug Administration will get involved if that comes into question. So far, no one's asked them to investigate, including Elliot Mermel and the guys at Coalo Valley Farms. 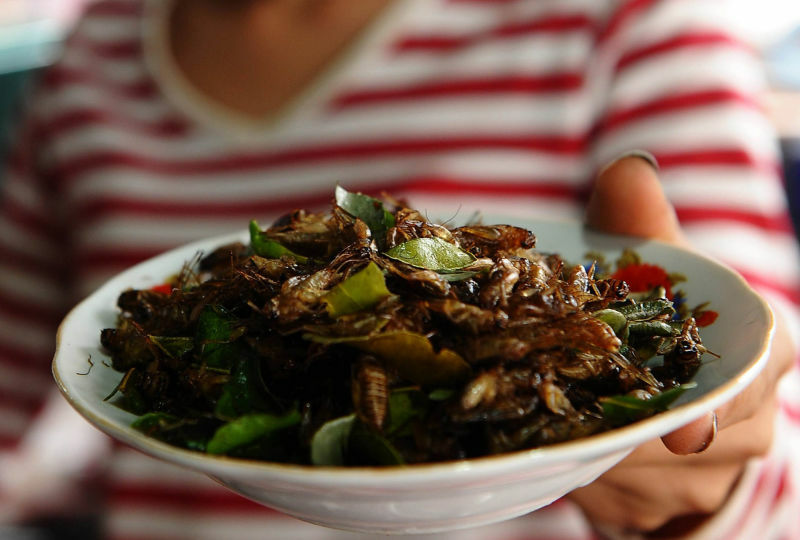 They think the moment for insects has arrived, especially in food-obsessed Los Angeles. “It’s a new ingredient for chefs to play around with, it’s a new ingredient for food-centric individuals to try out," Mermel says. "You don’t have to go to Mexico or Southeast Asia to try it. You can try something new right here in LA." They haven’t started making the cricket powder themselves yet. In the meantime they plan to hit farmers markets, with a food truck marked with the slogan “Sustainable Junk Food.” They’ll sell gourmet grilled cheese sandwiches and quesadillas with whole crickets in them. The crickets are optional ... sort of. “Sure, if someone really wants a grilled cheese without the crickets we’ll give it to them. But we might give it to them with a disapproving look,” says Mermel. He says they add a tasty crunch, sort of like potato chips in your sandwich. So be warned: Crickets -- and perhaps other insects -- may soon be coming to a dinner plate near you.